Commencing from 8th June 2016, a new Information and Advice Service for people with HIV and their carers. Tuesday Drop in, face to face advisor support and self-help. Friday Drop in, face to face advisor support and self-help. Please use only one service for each issue. Duplication doesn’t speed up processes, it makes them more complicated. If a service is needed urgently, staff will arrange referrals between the organisations. Both services continue to provide a range of support with other funding. Please see our leaflets, websites, blogs or social media for more information. LASS continues to provide a vital service to its service users. It remains a difficult job to maintain our funding levels in order that we can continue to provide that service. As chair of the board of trustees I extend our gratitude to all our funders, amongst whom are all the local Councils and many other institutions and organisations. Furthermore, there are donations from individuals whose contributions, no matter how modest are greatly appreciated and very valued. The work which LASS does would not be possible without the time contributions which our many volunteers make. Volunteers are essential to what we do and whether it be the giving of time to assist in the kitchen, answer the phones or assist as a trustee on the board, without our volunteers being so generous with their time we could not function. Over the last year LASS has been involved in many projects, we have contributed to National Testing Week and World Aids Day as ever. We continue to provide an accessible and popular testing service. We organized a very popular Women’s Conference at De Montfort University at which the key note speaker was Liz Kendall MP. A number of positive women spoke at this conference and gave very moving accounts of their experiences. The conference was also addressed by senior medics who work locally with HIV and a number of other women from different professional backgrounds gave presentations on various other topics. So successful was this day that we plan to organise more. LASS remains sensitive to and reactive to the need of our service users. We encourage feedback from our service users and do our best to anticipate what their future needs might be. We continue to work closely with other local organisations and charities concerned in sexual health and wellbeing. Furthermore, we are assisting in research projects with both local Universities and continuing to develop our research capacity more internationally. Archbishop Desmond Tutu continues to be our international patron and we are very grateful to him for the interest he continues to demonstrate in the activities of LASS and his involvement in our World Aids Day projects. Sadly we lost Michael Louttit this year. One of the projects which Michael was very involved with in the past was our work with the local prisons and probation and trying to develop our work with people living with Hepatitis. That work continues to grow and develop and stands as a memorial to Michael. Considerable work has been done in the last year to restructure LASS and prepare for us to become incorporated. This has been an essential but complex project. Looking to the future, we will continue to provide the high levels of service to our service users, doing our best to ensure that we maintain our funding levels in order to do so. Our collaborative work will continue in the community and we will remain dynamic and optimistic about the future. Finally, on behalf of the board of trustees I extend our gratitude to Jenny and her team who work for LASS who continue to do an outstanding job for LASS. 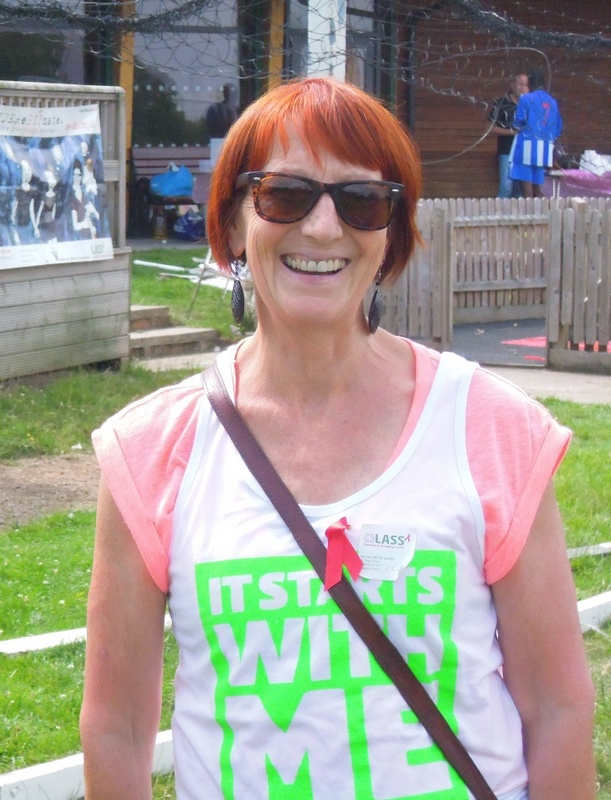 Well for Living, the Social Enterprise for LASS (Leicestershire AIDS Support Services) is recruiting for a Manager. Well for Living, is a community support agency which offers a choice of personal support services to individuals. Our clients choose Well for Living to help support domestic tasks such as cleaning, laundry or gardening to social needs like outings and trips. Well for Living also engages in projects to maximize improvements in human and environmental well-being, we provide community support services providing catering, training or consultancy services to the wider community. 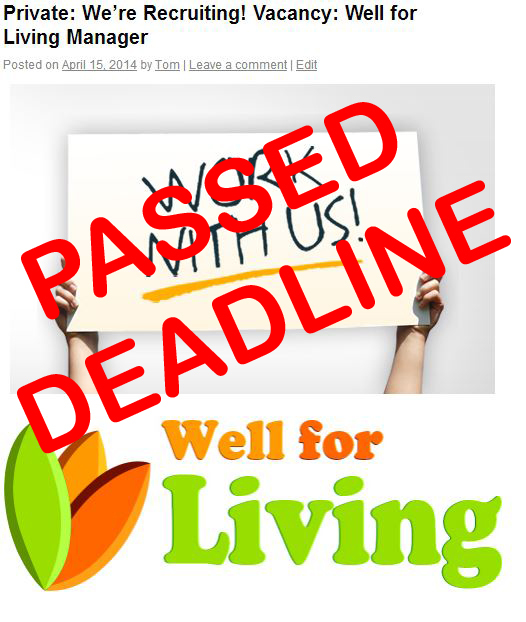 The Well for Living manager will lead and manage Well for Living (LASS Social Enterprise Ltd) in the delivery of a range of income generating wellbeing services and opportunities, and to ensure these are compliant with all legislative and quality requirements and in keeping with the 3 main delivery areas in our strategic plan – personal support, community support and product sales. The successful candidate will be expected to develop and ensure delivery a range of high quality personal support services to people in their homes including marketing and promotion, assessment of new clients and allocation of case work, monitoring, quality assurance, and liaison with finance for invoicing. 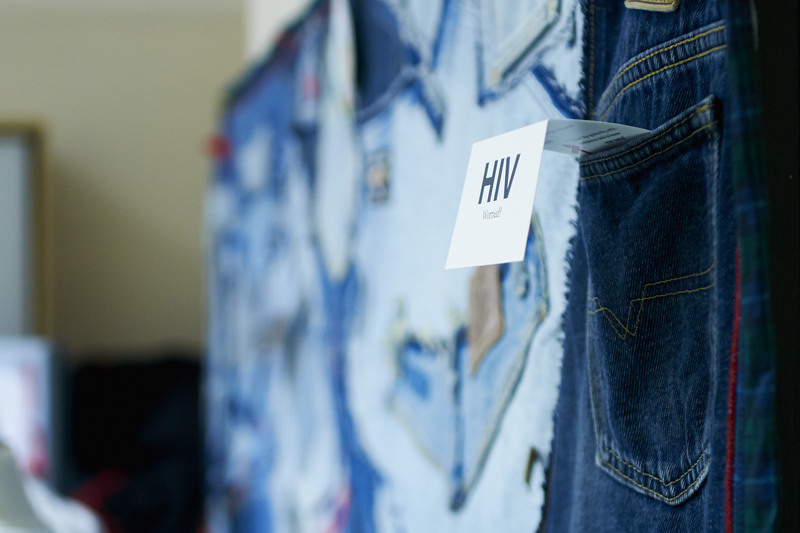 Additionally, the role will manage the delivery of awareness raising events and training for sexual health and HIV, the LASS café and room hire services as contracted by, and in liaison with LASS managers. This will include management of sessional and part time staff, booking and allocation of resources, budget management, promotion and development of services, quality assurance. The ideal candidate will have education or training in Business Management, Customer Care, Education, Training, or Health and Social Care level 3 or equivalent. Excellent project planning skills and experience in providing education or training, care or support services. Reporting to the Chief Executive Officer, the successful candidate will be a self-starter, competent with Microsoft Office packages and will report on feedback and outcome delivery on a regular basis. Deadline for applications is Tuesday, 29th April 2014 at 12:00 noon. Interviews will be held on Friday, 2nd May 2014.